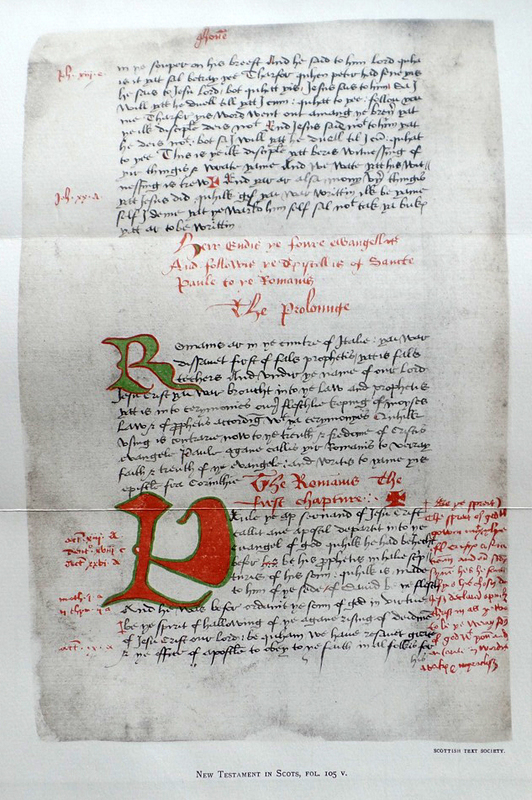 Martin Luther in Scots, 1520-something? Elsewhere on this blog, many years ago, I posted a few things about Murdoch Nisbet the Bible translator from Loudoun near Newmilns in Ayrshire, who translated John Wycliffe's 14th century English translation text into Scots. He worked in an underground basement he had dug for himself to escape the suspicions of the authorities – "... digged and built a vault in the bottom of his own house, to which he retired himself ...". This vault was said to be on the site of the later Loudoun Manse* or some have said Hardhill Farm. 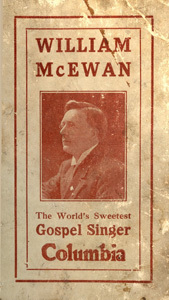 Nisbet fled Scotland for a while. 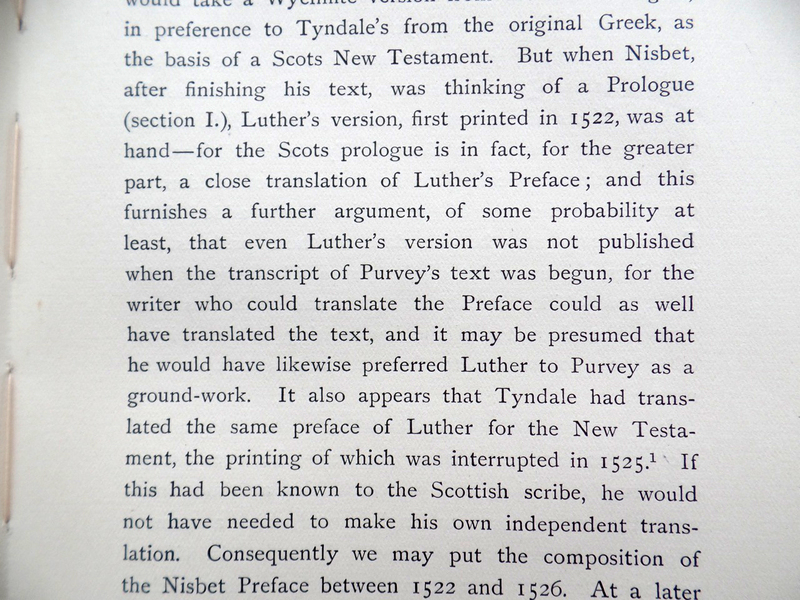 But not only did Nisbet translate the Scripture - he started his work by translating Martin Luther's 1522 Preface to the New Testament. Why is this important? 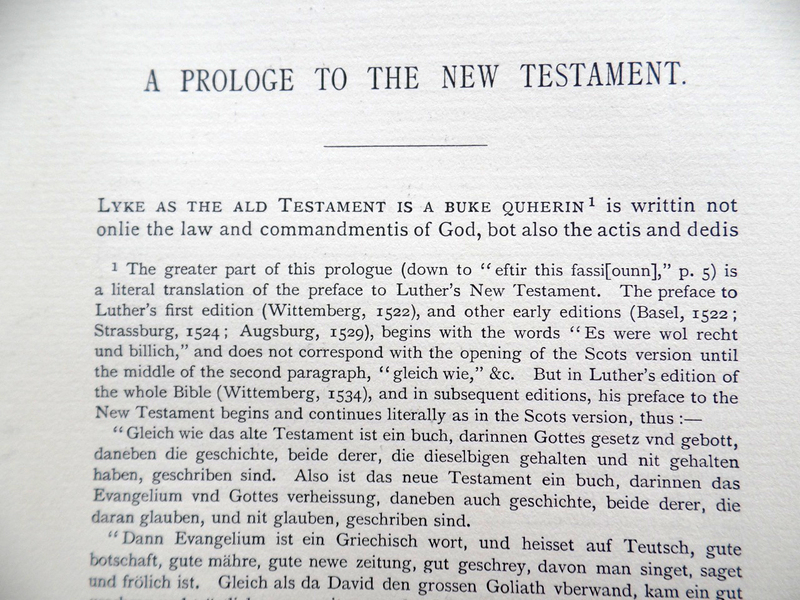 Well, it means that - literally hot off the (German) presses - Luther was making an immediate impact upon Scotland, and western Scotland at that, not just the eastern coast's North Sea ports which German ships were trading into. 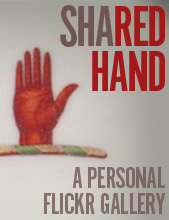 There is more to unravel about this in future blog posts. 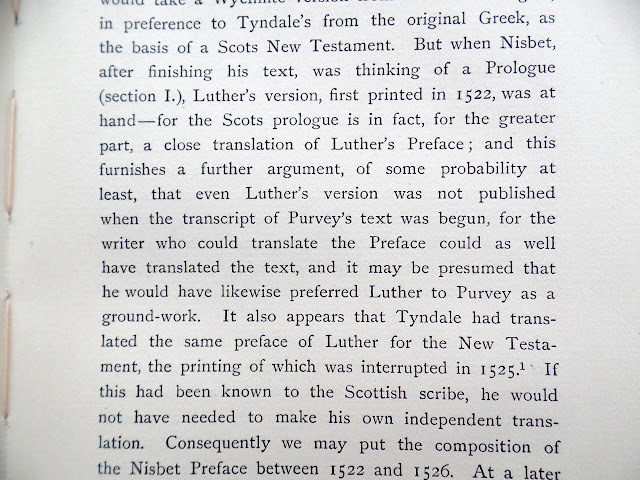 Chapter 12 of the recent book Literature and the Scottish Reformation has some solid research on Nisbet (see here on GoogleBooks). 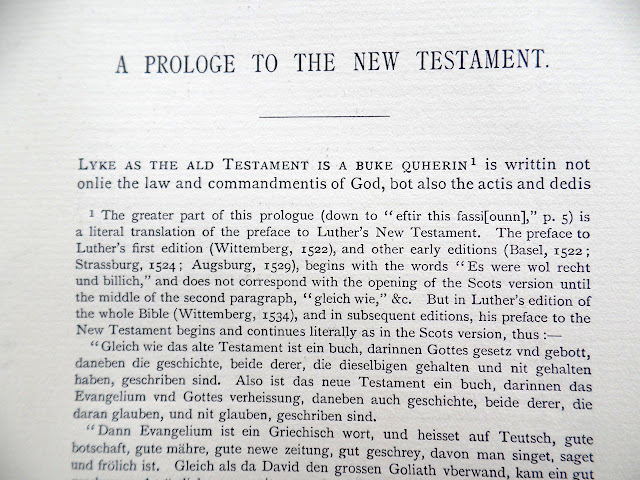 Below are some digital pics of my 1903 Scottish Text Society three volume printed edition of Nisbet. The original manuscripts exist somewhere in the British Museum. It is a shame that it is out of print, with the 500th anniversary of Luther's 1517 Reformation happening next year. * Loudoun Manse was where a Rev George Laurie would live in the 1760s, who was a great patron of Robert Burns. 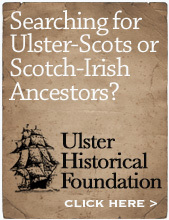 Laurie's grandfather had been minister at Macosquin near Coleraine in the 1600s. 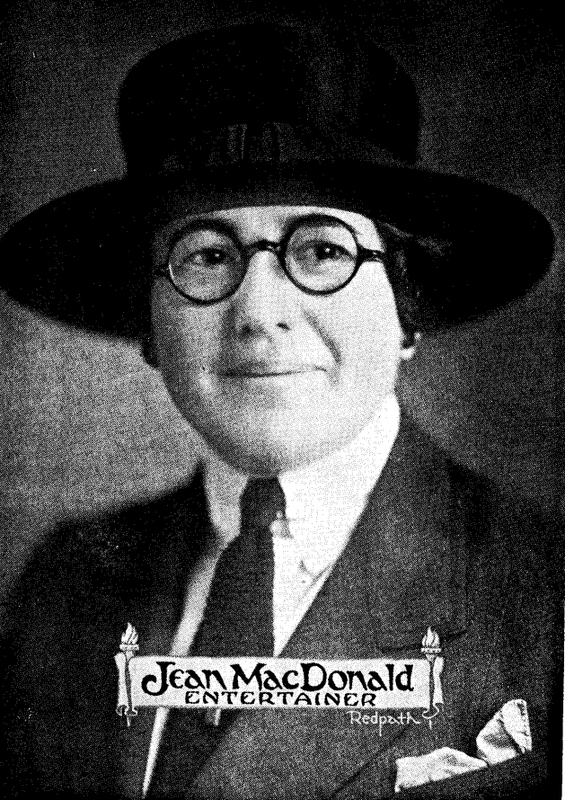 "Scotch-Irish faces that were not given to smiling threw off their masks with reckless abandon"
So reads one review of Jean MacDonald, a Canada-born entertainer of Scotch-Irish ancestry on this 1926 publicity leaflet. Interestingly her management agent was Redpath Vawter of Cedar Rapids, Iowa, a town with long connections to Ulster through the Sinclair family's global business empire which had begun in Belfast in the 1800s.